Interested in alternative medicine? Then here’s something for you. I’ve been part of an intro class on her work with tuning forks and found it very intriguing. The teacher works with rescue dogs, so I’m thinking the essential oils class will rock too. You can make this world a healthier place. In these pages, I like to tell you about places that Foresight is going to be, where you can come and see us, get a reading, some Reiki or a book, or just say hi and visit awhile; but sometimes, I like to tell you about places that we’re not going to be- but are fabulous nonetheless. On the evening of Oct 14th, Foresight will be at the Connecticut Renaissance Faire in the fine medieval land of Hebron, Ct; but if you’re not there, you might want to set a course for The Steampunk Anachronism meets the Goblin Market in New York City. Starting at 4 pm, this fine event blends elements of steampunk, a renaissance faire, dark enchantment and the unusual, with a twist, and features unique entertainment and experiences not often to be had. I’ve been lucky enough to attend a number of Jeff Mach events, and I can tell you from personal experience that 1) his events are crammed to the top with good things, 2) there’s something for everyone, 3) any expectations you have will surpassed, 4) you will definitely get your money’s worth, and 5) you will never meet such a bunch of interesting and friendly people. Jeff not only runs great events. He has a knack for building a friendly community and culture, and for building events that welcome in people of all different varieties (especially people who don’t always fit in in mainstream culture). So, whether you’re goth or rennie, geek or gay, trans or pagan or whatever else you may be, there’s a friendly place for you at this event and at others of the Mach persuasion. Great performers. Curious entertainments. And old friends you haven’t met yet. What could be finer? Deck them halls and hang that holly. We’ve looked at some gift ideas so far from the worlds of alternative health and personal growth. How about some presents from the world of metaphysics? Mainstream medicine does a great job of helping us return to health when we’re sick or injured. Alternative health does a great job of helping us keep from going there in the first place. But it’s not always fun or easy to live a healthy life style. So, one great gift can be something that makes it easy and fun. In this crazy, multitasking world, it’s often easier and more convenient to grab some fast food or convenience food when the day is busy. While that’s ok in moderation, it’s not always the most healthy choice. To give the gift of nutrition, it’s first important to remember that a meal isn’t healthy if the person won’t eat it. Pushing an extreme dietary change on someone who doesn’t like it is not a gift. That being said, you can offer to cook something healthier that your recipiant does like, or take them out for a healthy,balanced meal, or give them a gift certificate to a food service (such as one offering fruit, or prepackaged healthy meals) where they can make their choice of something healthy. The modern active lifestyle can create stress, and it can be difficult to calm down and release that stress at the end of the day. Environmental sounds, whether music, sound effects, or sounds of nature are designed to be played quietly in the background as you go about your day, and to lead your brain waves into more calm, relaxed, less stressed patterns. One of big causes of illness and injury these days is insufficient rest. Folks are so busy trying to be all things to all people that they end up not getting enough sleep and downtime. And stress doesn’t help with this either. One way you can give the gift of rest is to give the gift of your time. Is there something you could do for that person to free up some of their time so that they can take a nap/ get to bed earlier/ or just relax? There are many things (child care, errands, cooking) where it only takes slightly longer to do them for two people than it does for one, and the time and energy you save the recipiant of your gift can be the best thing you can give them. Some more works on Rune Magick and the magico-religious background. A Secret Treat for You….. 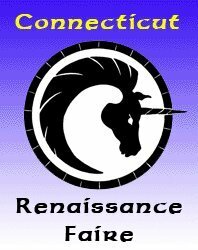 Thinking of attending Connecticut Renaissance Faire this fall? Have you been considering buying advance tickets online? so if you want the discount, it’s time to get moving. Just saw something wonderful and wanted to share it with you all. You can help fund education for girls in Malawi, just by watching a short video on Facebook. When we lift one person, we all rise. And that’s why this is worth doing.